Heather Sword - Excellent Cultures Inc.
Heather Sword provides administrative support and project management for Excellent Cultures. She is one of our clients’ first points of contact and manages all the logistics of setting up and administering Excellent Cultures’ projects including all online diagnostic questionnaires and surveys. In addition to gathering and processing data from our clients, she manages all the calendars for the Excellent Cultures Team and schedules all appointments, interviews and meetings. Heather is known for being extremely efficient, organized and detailed-oriented in accomplishing our team’s goals. One of the traits that distinguishes Heather above others is her dedication and reliability. She is adaptable in her planning and execution. She values relationships and works to cultivate longevity in all her personal and professional relationships. Prior to her work at Excellent Cultures, Heather worked for 10 years in the legal field to include positions of freelance court reporter, microfiche transcriptionist, and legal support. She earned her Associate’s in Court Reporting Technology at Bates Technical College. 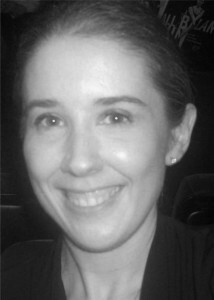 Heather is an avid reader, enjoys classical music and is a Pacific Northwest Ballet season ticket holder. She assists with women’s ministries in her church and has volunteered in many outreach activities.